F. Diane Barth, LCSW, is a psychotherapist and psychoanalyst in private practice in New York City. She has a master’s degree from Columbia University School of Social Work and analytic certification from the Psychoanalytic Institute of the Postgraduate Center. She has been on the faculty and supervisory staff and a training analyst at Postgraduate, NIP and ICP in NYC. Currently she teaches private study groups and often runs workshops around the country. 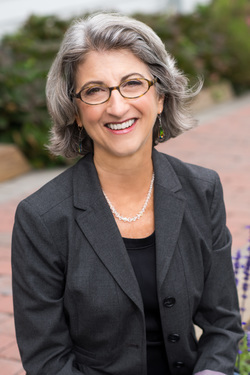 Ms. Barth’s articles have been published in the Clinical Social Work Journal, Psychoanalytic Dialogues, Psychoanalytic Psychology, and other professional journals, and as chapters in a number of books. Her new book about women's friendships, I Know How You Feel: The Joy and Heartbreak of Friendship in Women's Lives ​was released by Houghton Mifflin Harcourt in February, 2018. Book Groups: Please see the discussion guide on the following pages for I Know How You Feel. I would love to visit your group to discuss I Know How You Feel in person when possible, or by Skype or phone. Also happy to answer questions!!! She has taught several online courses (see articles and publications). My apologies, but please note that I am unable to respond to requests for personal advice through this contact form. Thanks!